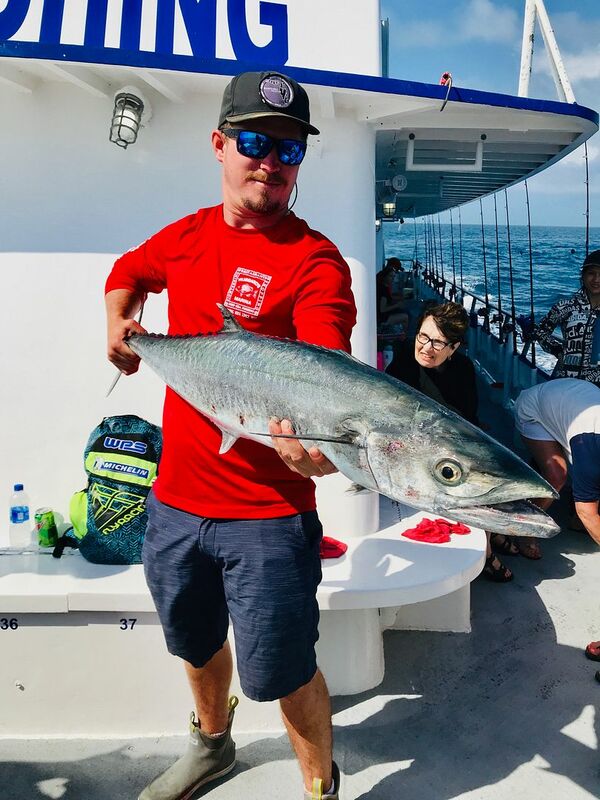 King Fish are a subtropical species common in coastal zones of our Gulf of Mexico, as well as from North Carolina to Brazil and the western coast of India. 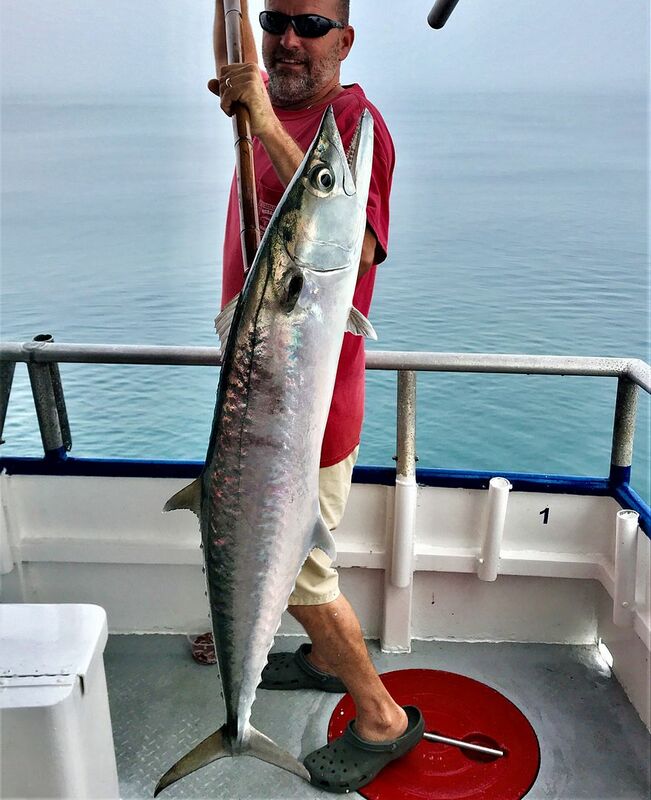 A preference for warmer water temperatures, 68 to 84 F, limits their territories. 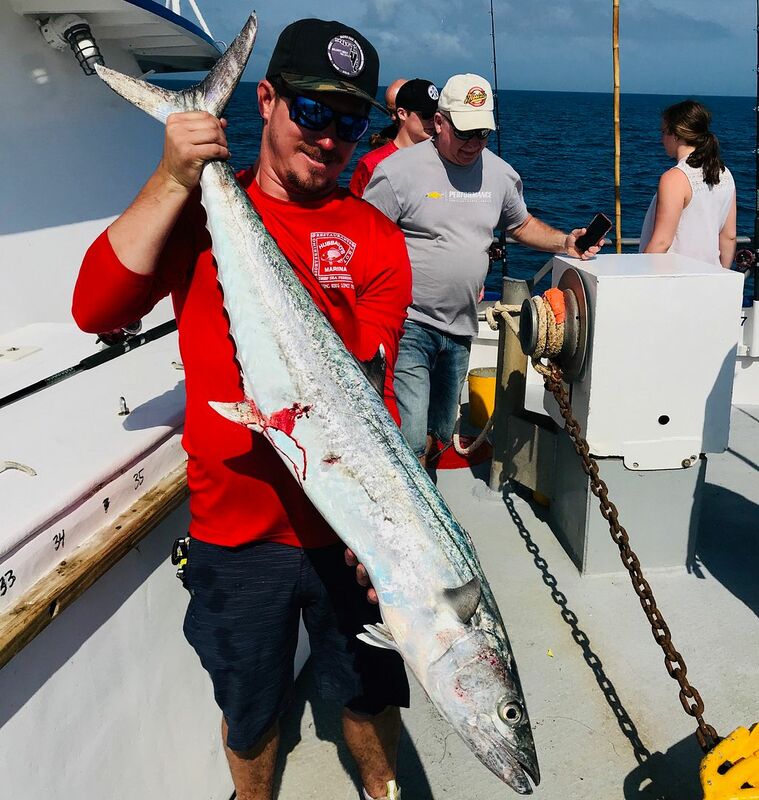 Typically Kings are found in depths of 40-150 feet. However they can be found at the edge of the Gulf Stream at depths up to 590 feet. 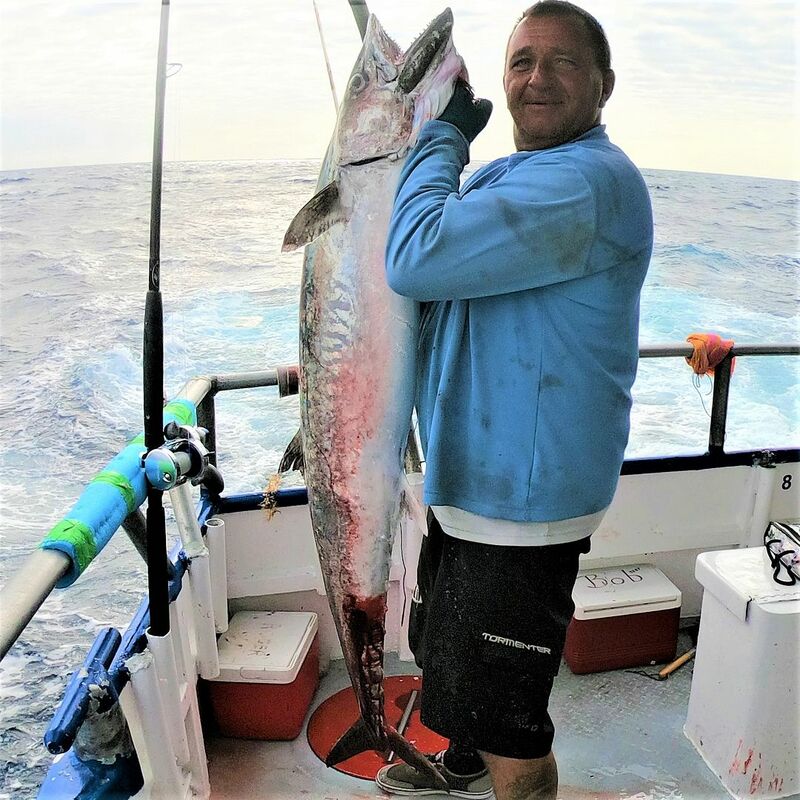 According to the International Game Fish Association the current record King Fish, 93 pounds, was caught off San Juan, Puerto Rico, in April of 1999 by Mr. Steve Graulau. Steve was trolling with Ballyhoo.This record is about to be shattered. 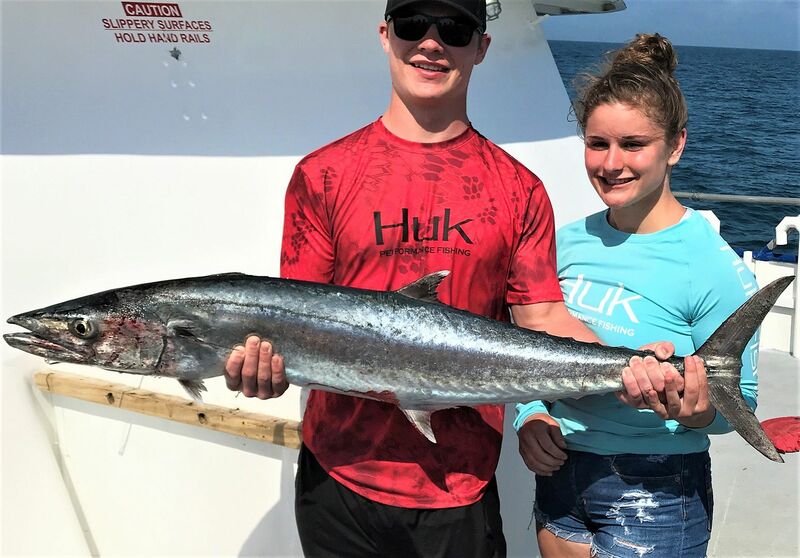 A week after they were married Michael and Brook Hayes, Indiana, were drifting along the edge of the Gulf Stream drop-off from the 'Happy Day Today' Charter Boat using live bonito for bait and 30 pound test line when a massive King struck. 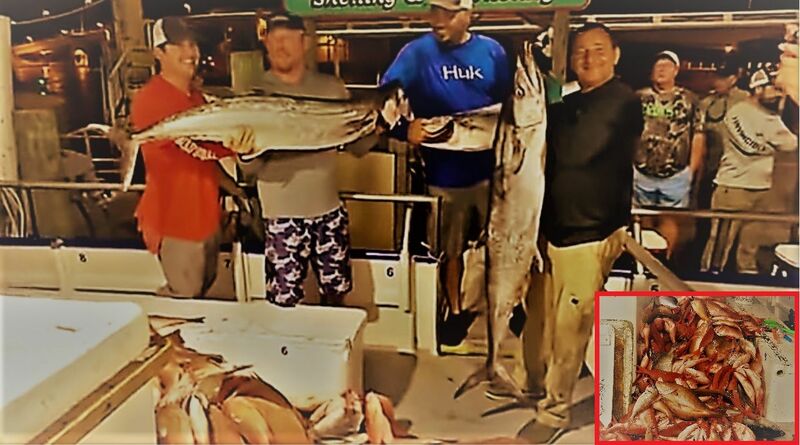 The huge King hit the scales at 97.8 pounds. 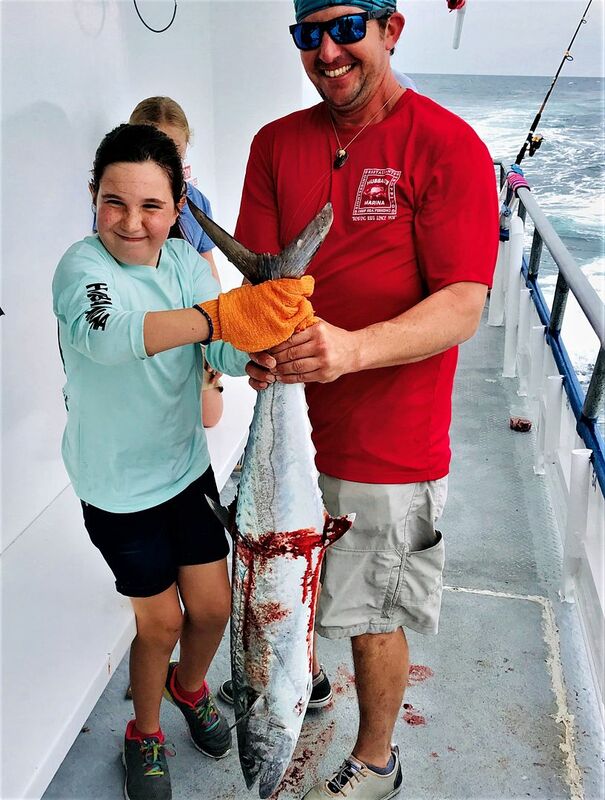 Hayes, who lives in Chesterton, Indiana, has applied for world-record certification with the IGFA. It typically takes 60-90 days for a record to be accepted. 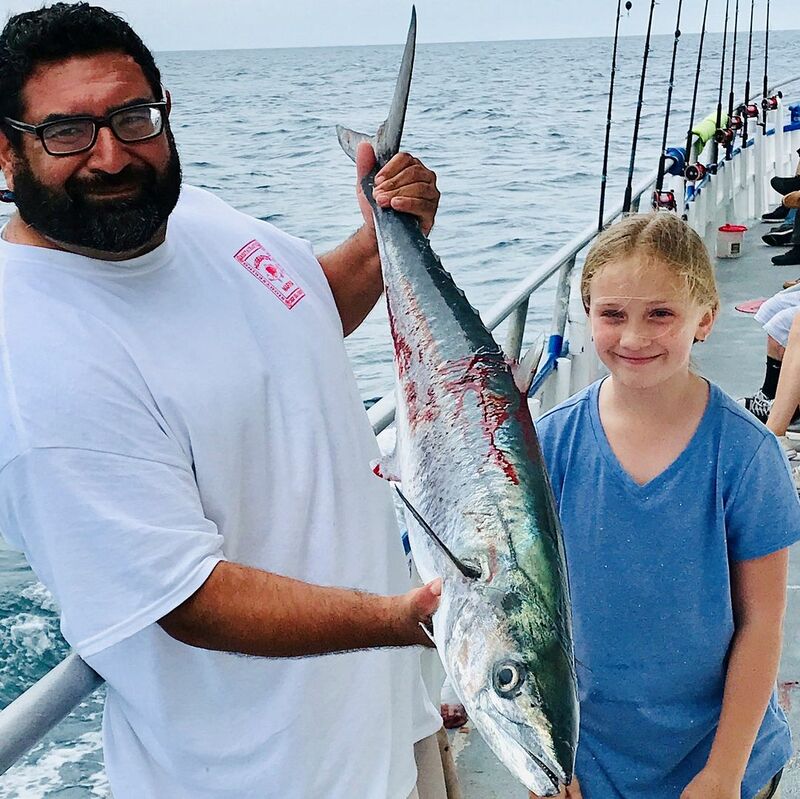 In order to qualify, a catch must be weighed on a sale certified withing the past 12 months, a line sample must be submitted, and only one angler may handle the rod. 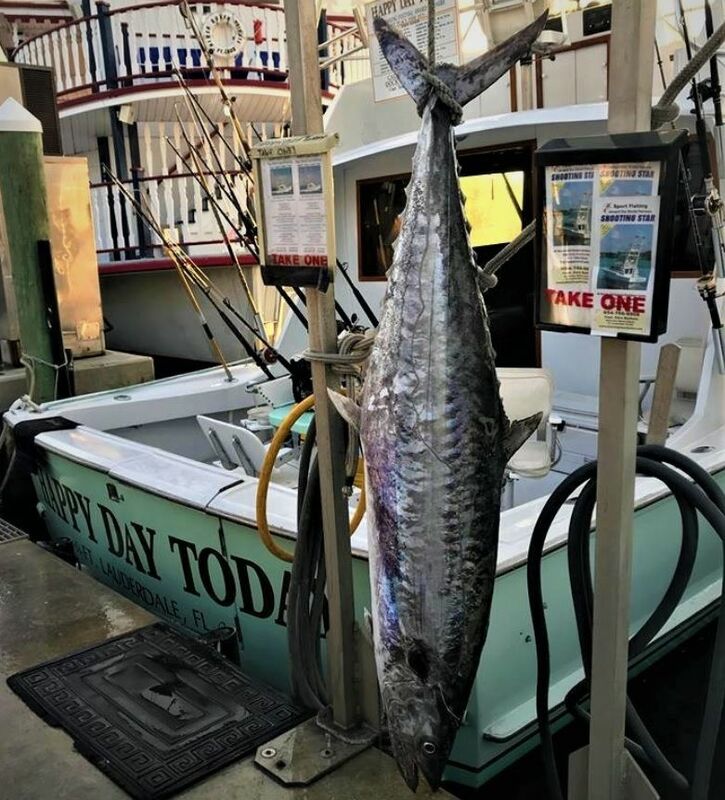 The King was weighed in at Lauderdale Marina on 125th Street. 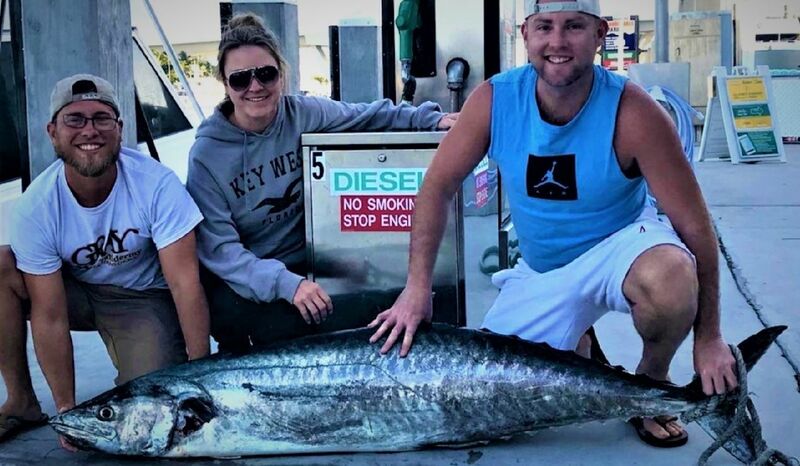 No one today could begin to imagine what the Spring King Fish run off Central Florida Beaches was like decades ago. 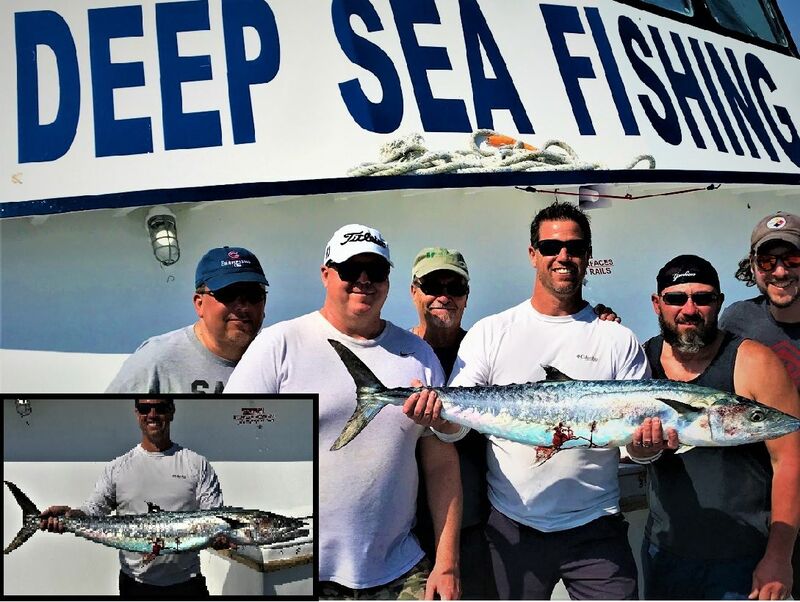 There was no limit, and recreational anglers could sell their catch, and sell we did. 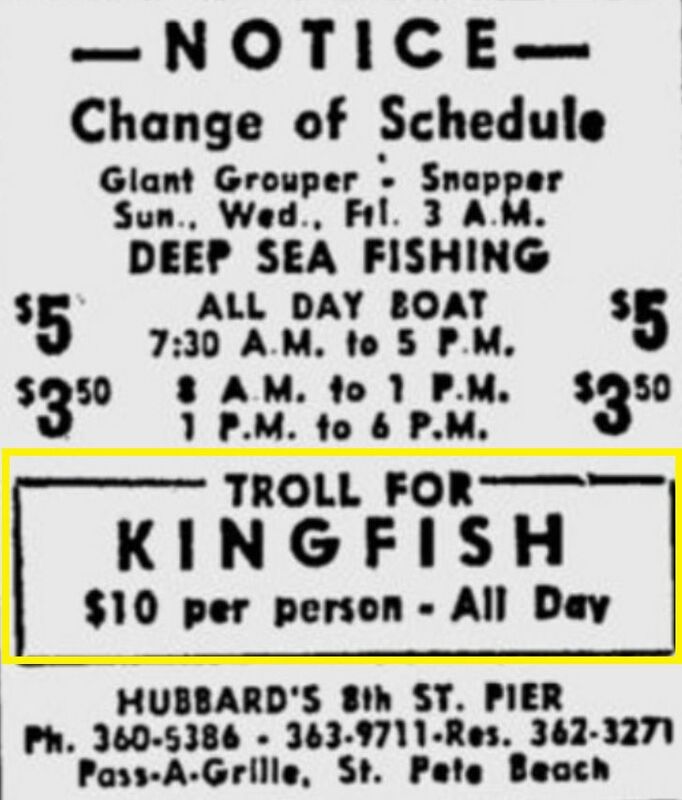 During the sixties, while fishing from my boat, Wahoo ll, I was able to put myself through the University of Tampa by selling Grouper and Kings. 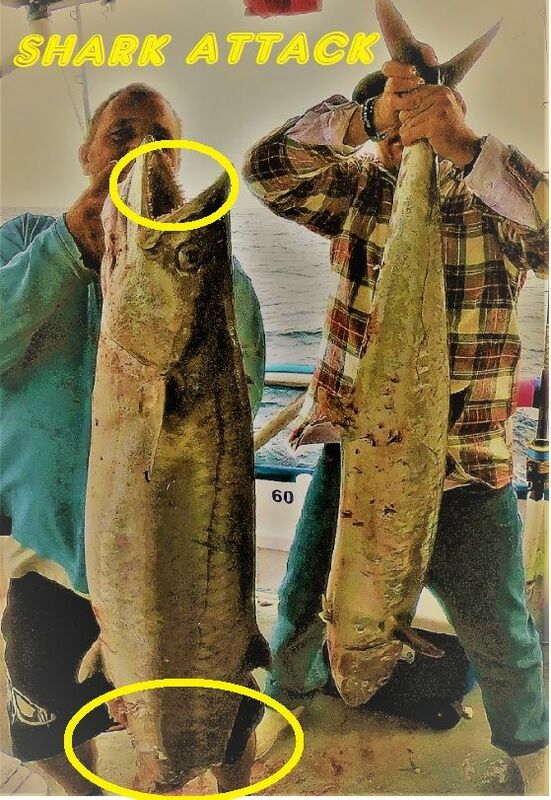 On the 1/2 & all day head boats most kings are caught drifting or anchored using a no sinker flat-ling rig. 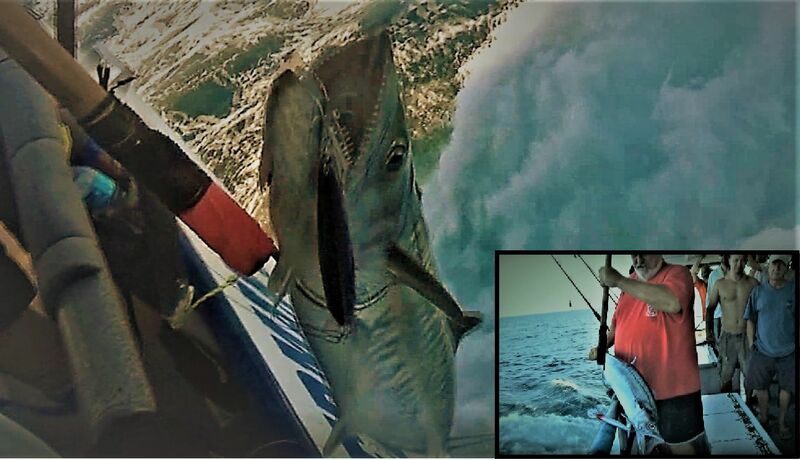 Like yesteryear today head boat trolling remains very popular and productive. 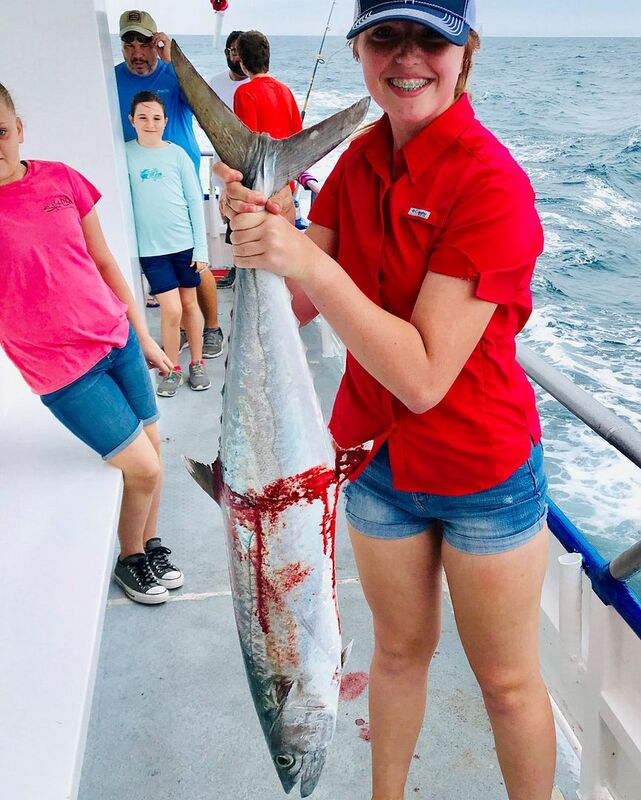 The Florida Fisherman ll has, once again, 'perfected the art'.